MO is going to fly home? That makes her look like an alien on Star Trek. From the 1960s. I don't like Olivia Palermo at all and it's super bad when she makes other people, who stand next to her, look bad. MO looks very very bad and unattractive in this pic. OMG! She looks awful:yuk:. That dress makes me thing about V, the 80s series. She looks like a blow up doll I mean really. Poor Anne Marie. She exchanged it peace of mind for keeping her royal life, I guess that was the price. MO doesn't need Olivia Palermo to make her look bad. MO looks bad even when she's by herself. 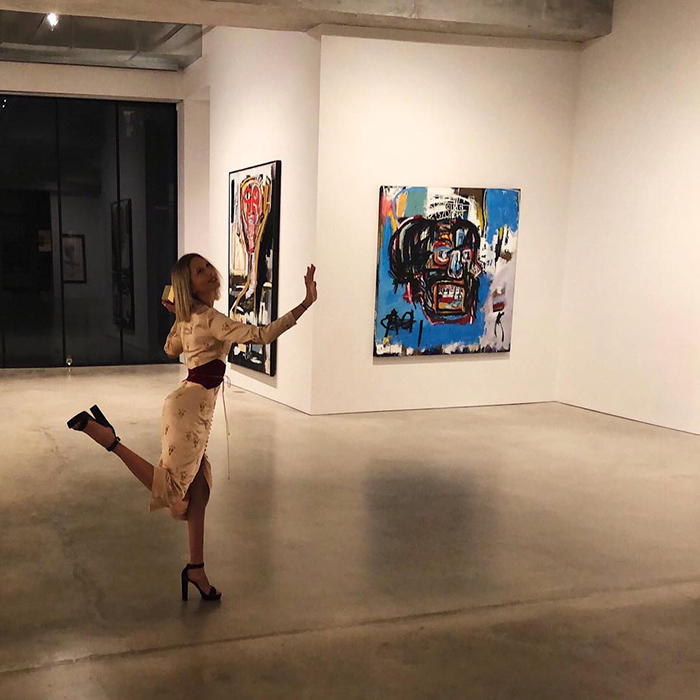 Princess Olympia posed cutely inside of an art gallery, and shared the moment on Instagram. "Touche pas," she captioned the photo in French (meaning "don't touch" in English! ).